Rhubarb was forbidden in my household growing up. You see, when my dad was a kid, his family had a giant rhubarb plant in the backyard. They would make pies and jams, but my dad refused to eat them because he often spotted the neighborhood dog marking its territory on the plant. To this very day, the thought of rhubarb still grosses him out. 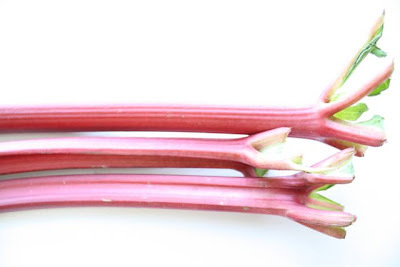 I later discovered that rhubarb is actually pretty good. It's tart and fruity and tastes something like strawberry jam when you cook it down with sugar. 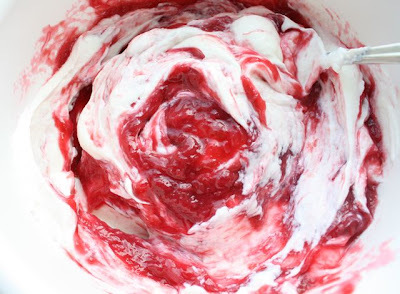 It's also the perfect compliment to tangy plain yogurt. 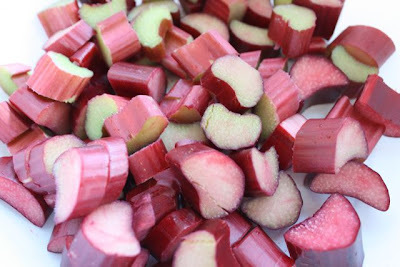 Start with three stalks of rhubarb. Chop them up into pieces. Cook the rhubarb down with sugar and water until it reaches the consistency of a jam. 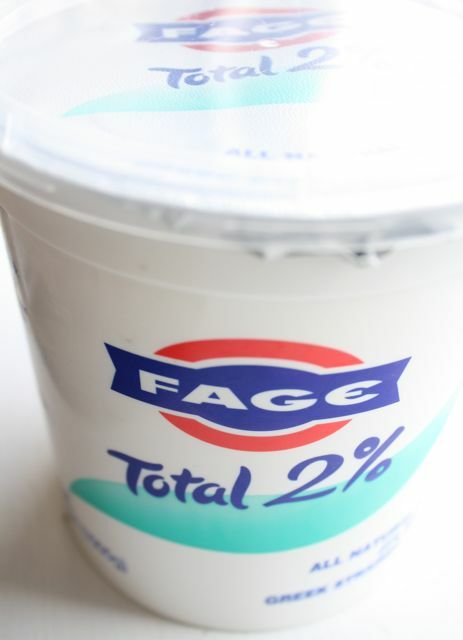 I used Fage greek yogurt, which is extra creamy and not too tart. I actually prefer yogurt that's a little more tart for this recipe. 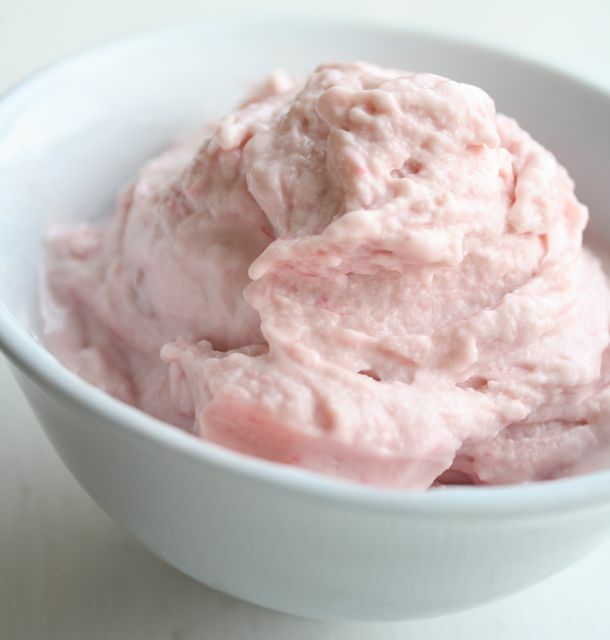 Whole yogurt is usually best for frozen yogurt, but you can get away with lower fat content if you really want. (I used 2% because this brand is so creamy.) As always, it's best eaten fresh because it hardens in the freezer. 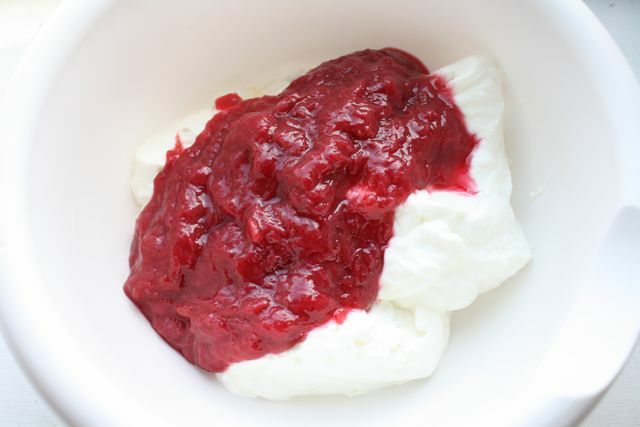 Combine chilled rhubarb jam and yogurt. Make sure it's thoroughly combined. 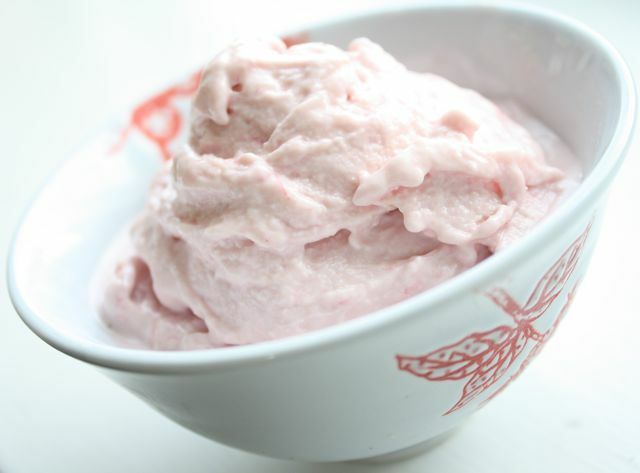 Churn in your ice cream maker and enjoy! Chop the rhubarb into one-inch chunks. 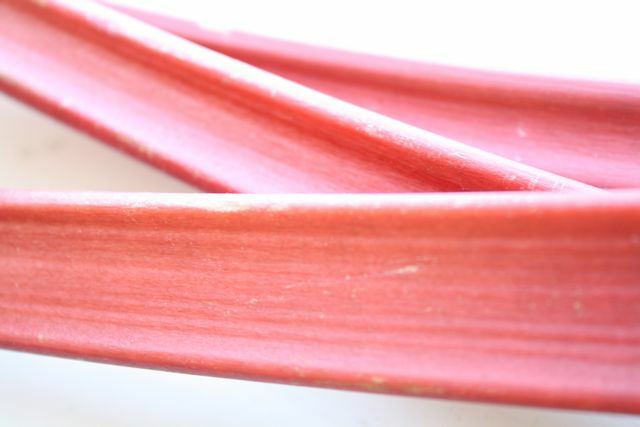 In a medium saucepan, combine rhubarb, sugar, and water over medium-high heat. 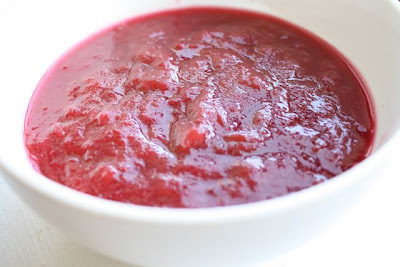 Cook for about 15 minutes, stirring occasionally, until the rhubarb breaks down into a jam-like consistency. Remove from heat and chill until cold. Mix together the yogurt and rhubarb. Pour in ice cream maker and churn. Very nice post, and very nice and instructive photos! I love rhubarb, particularly in ice cream:-) As you noted, however, this type of yoghurt w fruit purée-ice cream is best eaten on the spot since it doesn't store well (or too well, in a freezing sense). 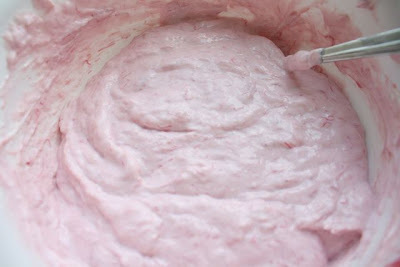 I've tried substituting some yoghurt with (sometimes even whipped) cream, with some success. Spiking the yoghurt with honey instead of sugar also took the consistency in the right direction, but only that far. I would love to hear your views!